You can deepen your understanding of the Christians and their communities in Holy land. The Commissariat gives you several possibilities to foster your consciousness and to facilitate your actions of solidarity. Supporting the works of the Holy Land through donations is possible at any time, by cheque, postal order or online by credit card. Each donation must mention its intent and/or the project targeted. It is always possible to make donations of a general intent destined specifically to the Custody of the Holy Land. At the closing of the year, donors may obtain a receipt for income tax filing purposes. In addition to the Good Friday Collection, donors can support specific projects recommended by the Commissariat. We recommend for the current year the following projects… When donating, specify the project to which you wish to direct your financial support. 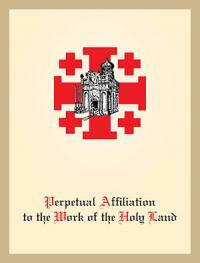 The Holy Land Commissariat receives the offering of masses celebrated in the Holy Places of the Holy Land. Simply send the particular intention and the prescribed offering ($15.00). The affiliation to the works of the Holy Land offers to benefactors the opportunity of sharing the spiritual fruits resulting from the Eucharistic celebration, the prayers and the apostolic work accomplished by the Franciscans and by the Christians inhabiting the Holy Places and the Faithful who, guided by the Holy Spirit, go there to venerate. An affiliation is a communion in faith between the Christians who support the works through their donations and the members of communities devoted to the works of the Holy Land. Both donors and community members partake in the fruitfulness of a spiritual family and its ecclesial mission. Each affiliation is attested by a diploma or a special card that is sent to you to be forwarded to the affiliated person or family. Solidify your faith by supporting fellow Christians and their communities in Holy land. Together, lets continue to keep the home of Christ safe and sacred.